The tribe said in a news release that a lawsuit was filed in Idaho’s U.S. District Court on Friday, though the suit will be consolidated with a larger case being tried in Cleveland, joining more than 400 other related lawsuits. The tribe’s suit specifically targets the opioid distributor McKesson Corp., the only supplier of the addictive pain relievers to the tribe’s clinic, Nimiipuu Health. 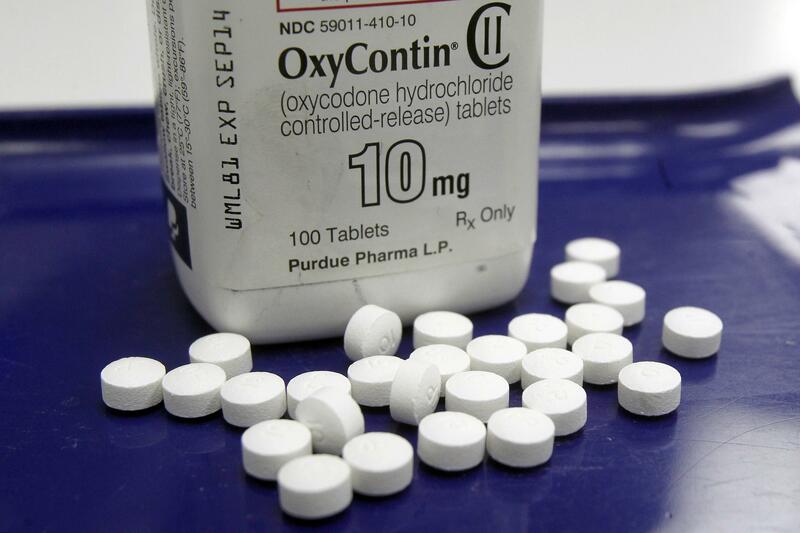 The larger, more encompassing lawsuit includes multiple opioid manufacturers and distributors like Purdue Pharma, which patented OxyContin and aggressively marketed it to health care professionals as a safe, non-addictive pain reliever. The tribe is represented by Seattle-based firm Keller Rohrback L.L.P., which has filed numerous similar lawsuits on behalf of Washington municipalities as well as the Tulalip Tribes. The many lawsuits are being handled at a rapid pace for a case of this size, with Northern District of Ohio Judge Dan Polster telling attorneys to forgo a long evidence-gathering phase and move straight to settlement negotiations. A recent New York Times article quoted Polster advocating that the case be wrapped up within a year. The tribe is seeking monetary damages “three times its actual damages” on multiple counts, including allegations of racketeering, false or misleading marketing, public nuisance by causing health issues for tribal members, negligence, gross negligence and unjust enrichment. No precise financial judgment was requested in the complaint. The 145-page document outlines the drug’s early history, its derivation from the same plant as heroin, and the various drug manufacturers’ large profits from treating pain and mischaracterizing opioids as non-addictive. Specific to the tribe, the complaint argues resources have been depleted and health care, law enforcement and child protection officials are stretched thin combatting the widespread effects of addiction in the community. Research has shown that American Indians die of non-heroin opioid overdoses at a rate nearly as high as white Americans despite there being far more incidents of white Americans overdosing. A 2015 study by Centers for Disease Control and Prevention found American Indians had an overdose death rate of 9.6 per 100,000 compared to white Americans with an overdose rate of 10.4. That rate has been on the rise, beginning at 2.2 per 100,000 overdose deaths among American Indians in 2000 and climbing to a rate of 13.7 in 2016. There is no inpatient drug addiction treatment program on the reservation, so tribal officials have been referring members to Lewiston or elsewhere for treatment. But beds are often filled, the complaint says. “Because they are sovereign nations, tribes are not systematically included in statewide public health initiatives such as prevention and interventions funded through opioid crisis grants, leaving tribal governments to bear the economic burdens of responding to the crisis to an even greater degree than non-tribal jurisdictions,” the complaint states. Nimiipuu Health has taken several steps to mitigate opioid abuse by establishing drug take-back boxes so unused medications are not resold, assigning a single doctor to prescribe pain medication to prevent patients from “shopping” different doctors to obtain opioids, and setting up pain contracts with patients to prevent abuse of the drug. But restricting access has led to other harmful outcomes. The complaint said if the tribe is granted funds in a settlement, some of the money would be used to increase security at the Lapwai and Kamiah clinics to keep employees safe. The habit-forming use of prescription medications and preventative cost of refills has led some to divert to illegal substances such as heroin. The complaint said illicit drug use caused an uptick in child protection cases, with the tribe holding onto children longer and running out of room to take custody of kids while parents seek addiction treatment. “According to staff, 100 percent of the children at the (tribe’s) children’s home are referred because of drug use and abuse,” the complaint says. The effects have not been limited to health issues. The complaint reports theft and burglary crimes have risen, and investigations have determined many of the thefts are related to affording drug use. Incarcerating tribal members also has become burdensome as local jails fill up and law enforcement enters contracts to have inmates housed at other regional jails, paying to board inmates. Nez Perce Tribal Executive Committee Chairman Shannon Wheeler is quoted in the news release as saying the lawsuit is essential in holding those responsible for the opioid epidemic accountable. Published: May 22, 2018, 8:48 a.m.